Since weekly plan with me videos fell to the wayside a few month's back (I explain it all in this blog post) I've started to really miss sharing what's new in my planner with you lovely lot. 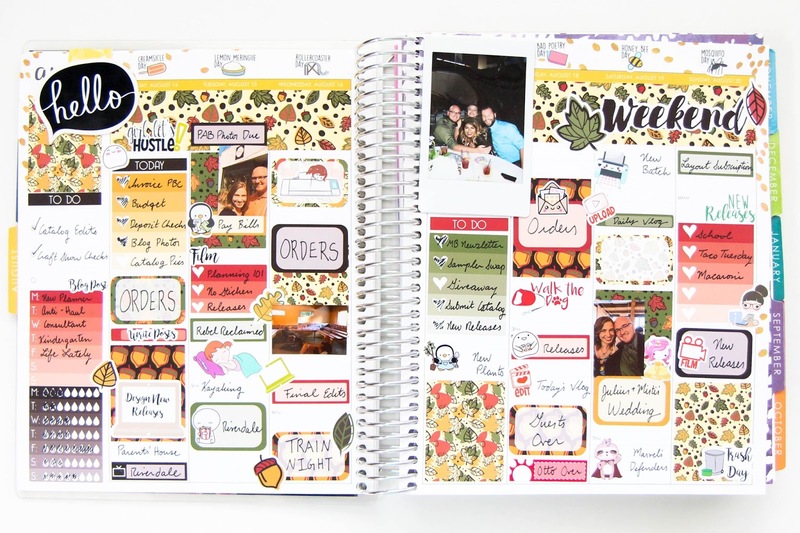 So introducing a new somewhat semi-regular post about what's been going on in my planner lately. 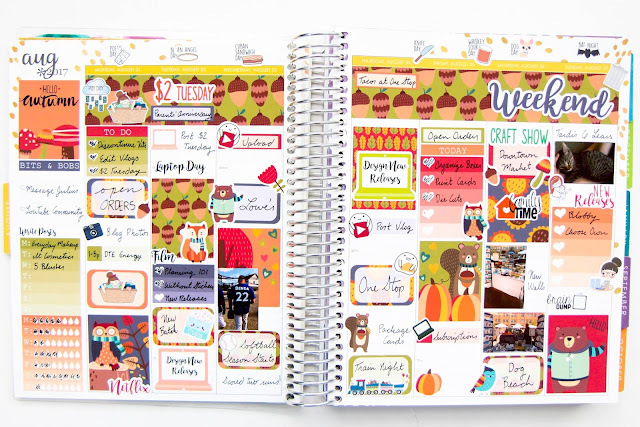 As soon as there was even the slightest hint of fall I switched my planner into full on autumn mode. I've been itching to do fall spreads for months now since we design for seasons and holidays anywhere from two to four months in advance. The hourly layout just speaks to me lately. And surprisingly enough I haven't felt the urge to hop back into the vertical even though I'm approaching the usual time that I would make the switch. It's when I'm feeling truly frazzled and stressed out that the hourly shines. Sure I still don't pay attention to most of the time slots, but having each day in one nice long block just clicks with me. 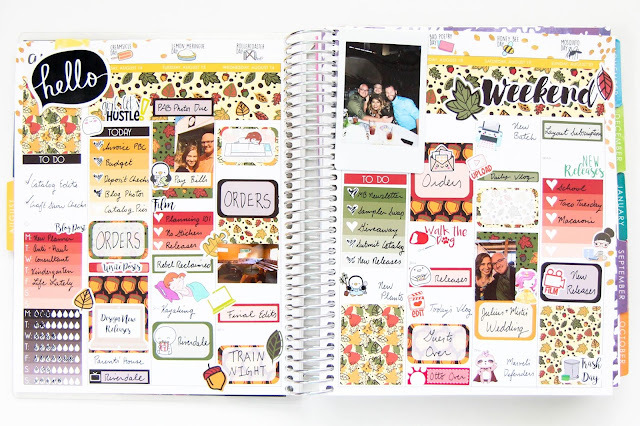 I've also rekindled my love with putting photos into my spreads to keep the memory saving going strong. There has been a ton of events lately so it's been easy to throw in a photo every few days. And since I'm basically rubbish at doing anything with the photos I take, this at least connects them to a date and gives them life outside of my phone or laptop. I feel like I've really settled into my hourly groove. I've got my spread layout down pat and can whip together a new week in no time flat. And honestly I don't miss the weekly plan with me videos. It's just so much more enjoyable to slap stickers down in a robe from the comfort of my bed than the hassle of setting up for a video. 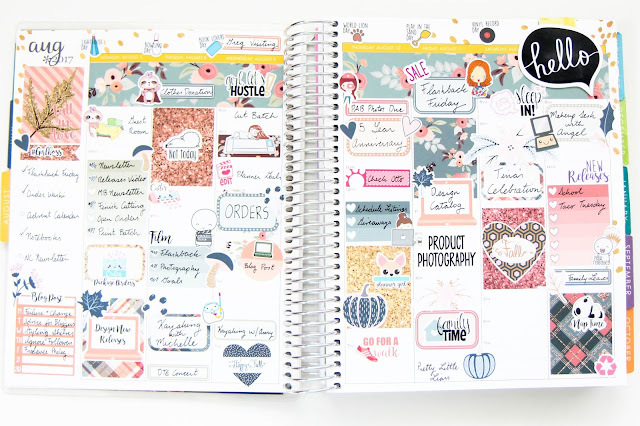 What's been going on in your planner lately?